Residential conversions will remove at least 180,000 sqm of office stock from Sydney's markets over the next four years, according to a new ViewPoint from CBRE. This will place downward pressure on vacancy rates and, in the longer term, lead to the virtual elimination of a number of smaller office markets. "Limited greenfield sites are available in these areas, which has led to a notable number of office buildings being sold to residential developers," Ms Pryor said. "As a result of these residential conversion plays, we expect displaced tenants to be in the market for up to 50,000 sqm of space in the short to medium term. These tenants are likely to look to more established non-CBD markets, which will lead to downward pressure on vacancy." CBRE's ViewPoint forecasts that the office markets of Epping, Burwood and Hurstville will shrink by more than 25% over the next four years as a result of shock withdrawals. "Over the long term we expect smaller suburban office markets such as Epping, Burwood and Hurstville to transition to predominantly residential hubs, while the North Shore markets will maintain a core office function, with increased residential activity outside of the core," Ms Pryor said. Tenants expected to come to market as a result of residential conversion plays include a mix of State Government tenants, large corporates such as Westpac and Telstra as well as a number of smaller tenants. Many are expected to target larger suburban markets such as North Sydney and St Leonards - which will benefit from both this increased demand and the withdrawals that are also occurring in these areas. 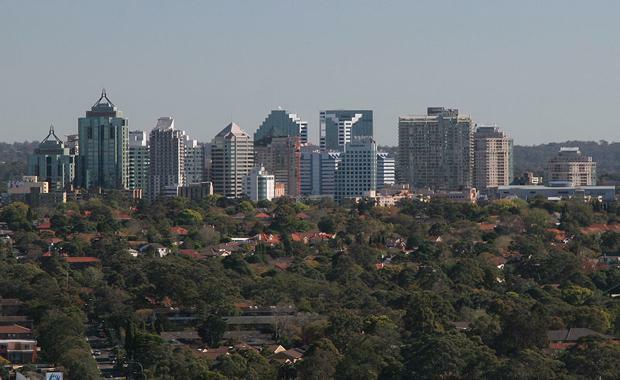 CBRE Capital Markets Director Simon Kasprowicz said, "Numerous owners remain in talks with council in regards to development applications for potential residential conversions, with a further 29,000 sqm of stock currently mooted for withdrawal. As the overall market size declines, we expect that the occupier market will continue to tighten, shoring up occupancy in remaining buildings and placing landlords in a more favourable position."